Are We Heading Toward Socialized Medicine? 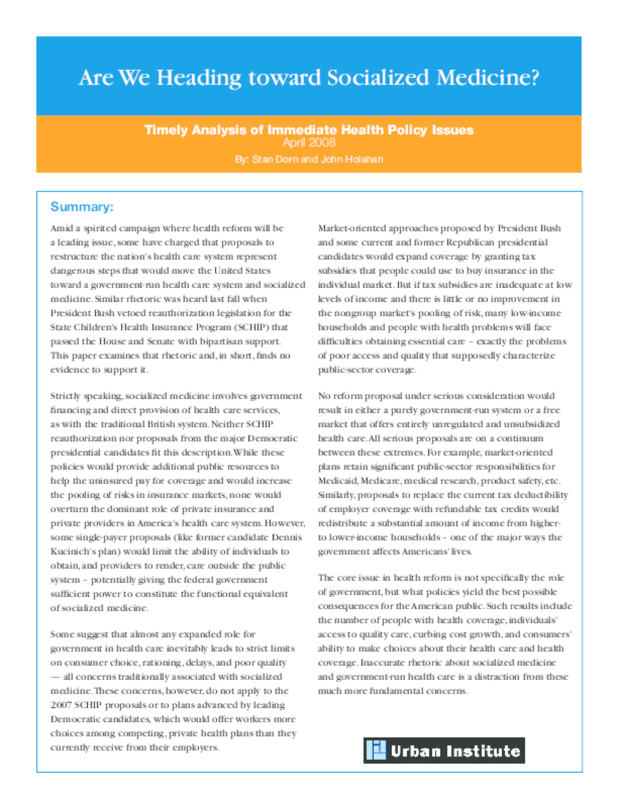 Defines socialized medicine, examines claims that the State Children's Health Insurance Plan and Democratic presidential candidates' reform plans would lead to government-run health care, and compares the plans with Republicans' market-oriented proposals. Title: Are We Heading Toward Socialized Medicine?